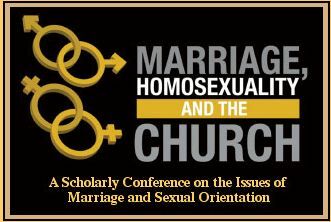 A scholarly conference on the issues of marriage and sexual orientation in relation to Seventh-day Adventist teachings and public policy positions. Insights and Biblical answers to issues affecting our Homes, our Church, our Liberty, and our Nation. 16. HOMOSEXUALITY AND THE BIBLE: WHAT IS AT STAKE IN THE CURRENT DEBATE? 17-18. HOMOSEXUALITY, GAY MARRIAGE AND THE CHURCH–WHERE DO WE GO FROM HERE?